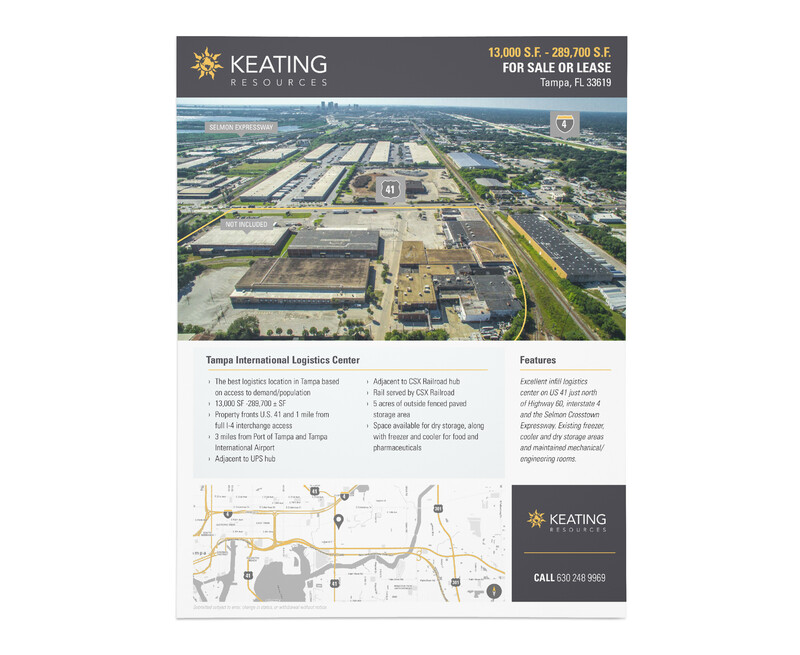 These are branded property brochures I created while at Frey Design for the real estate company, Keating Resources. 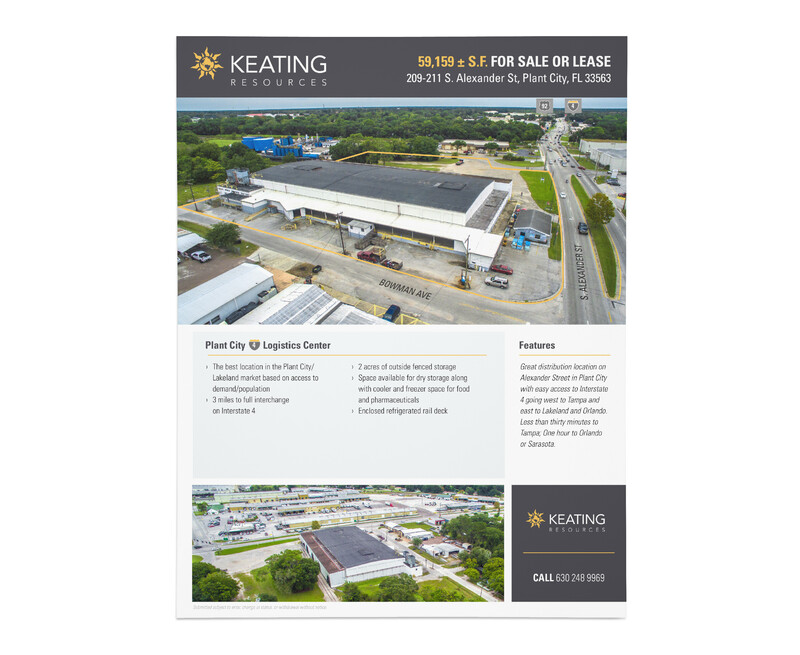 I was tasked with establishing a template like layout that would be used on going for multiple properties. 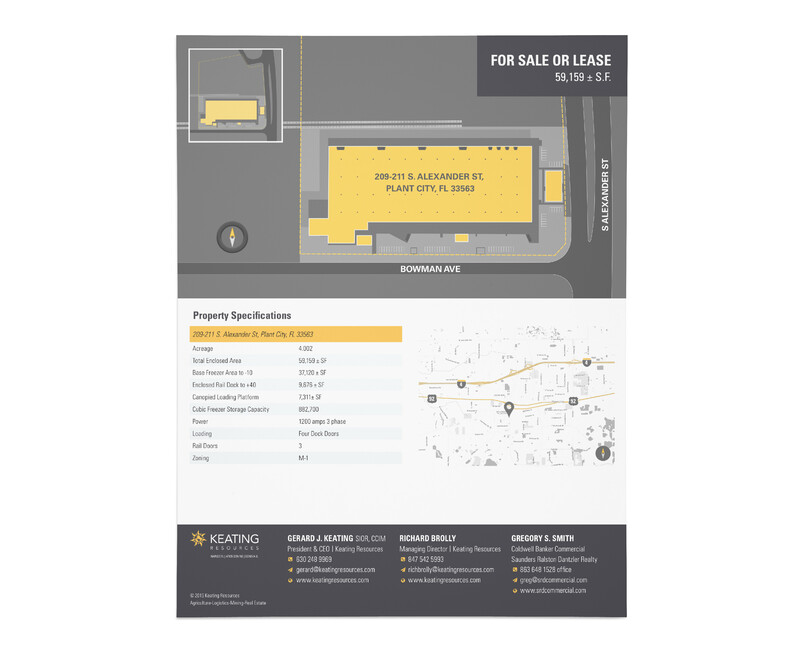 The purpose of the brochures are to advertise the sale or lease of building(s) with the most important factor being the building(s) location. 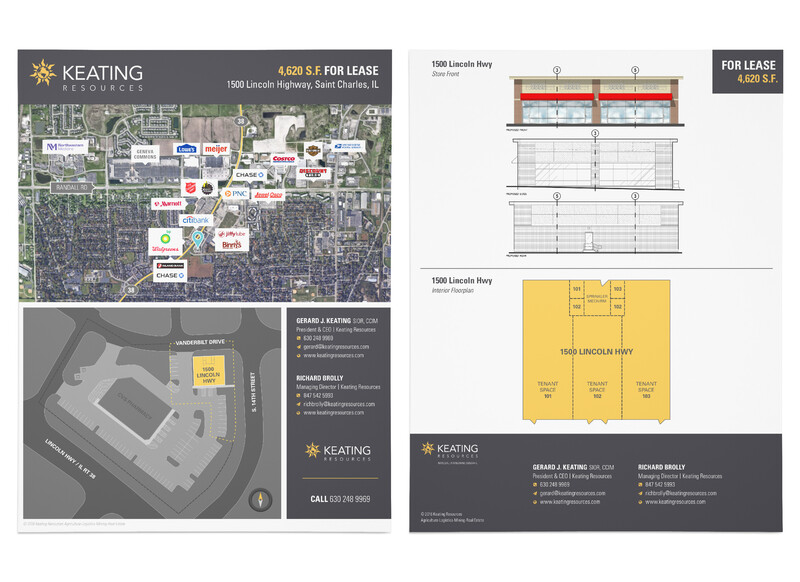 With that thought in mind, I defined that the design of the brochures feature a large image portion that illustrates the location of the building(s) as the main focus. 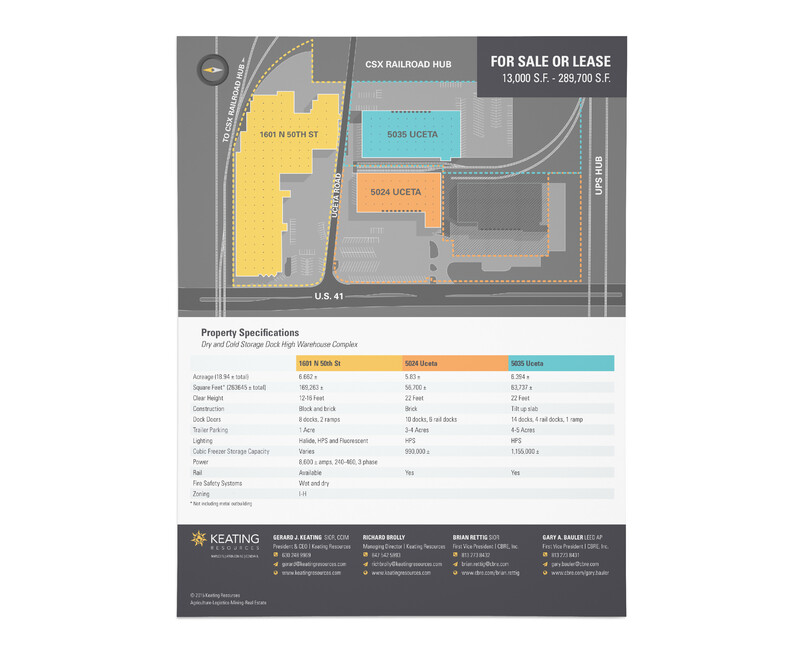 I also established the typefaces used, as well as the supporting brand colors that are used for site plan renderings, and map styling.